I recently took a trip to New Orleans. It wasn’t hard to see why this is a foodie destination in the U.S. As someone told me, you have to be there a whole month to eat all the great food this city has to offer. Since I was there only for a week, I only got to sample some. Here were my favorites. Cafe Du Monde Cafe au lait and hot fluffy beignets with LOTS of powder sugar. Sitting in the cafe watching the world go by. The experience alone is just worth it! Peche Modern and bright, this restaurant had some tasty dishes. Located in the Warehouse District, we stopped in after touring the World War II Museum near by. We went for lunch and we order a couple of small plates. My favorite was the smoked tuna spread served with saltines. Yummy! American Sector One of the best restaurants I have been to that is connected to a museum! Next to the World War II museum, there is nothing institutionalized about it. 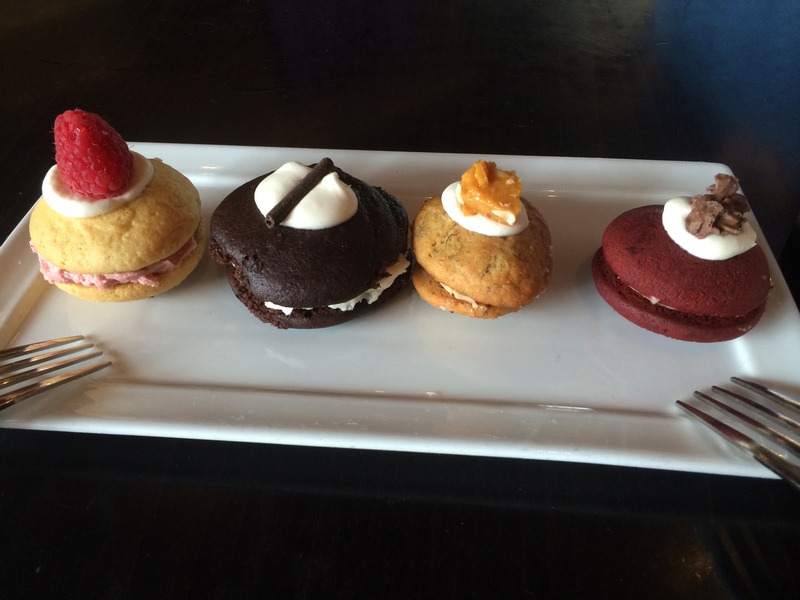 For dessert, we had an assortment of mini whoopee pies of lemon raspberry, chocolate, peanut butter banana and red velvet. Domenica By far my favorite place I ate at in New Orleans. Located In the Roosevelt Hotel. All the pasta were fantastic. 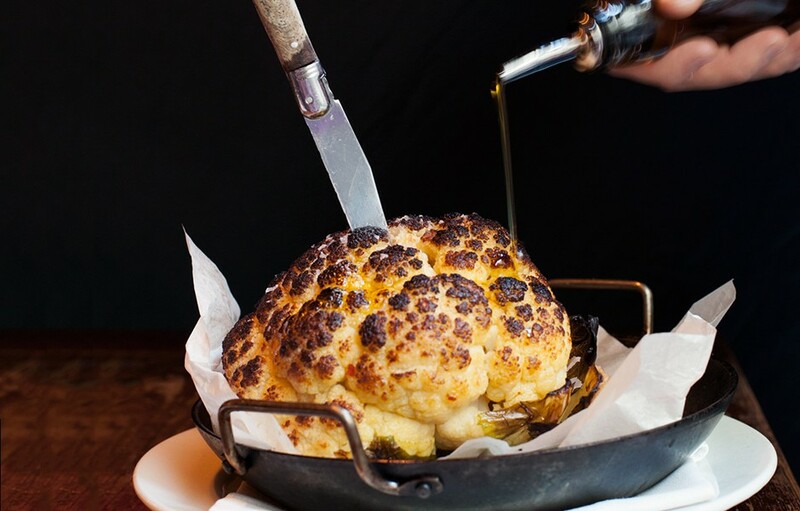 But save room to order the roasted cauliflower served with whipped feta and goat cheese. Delicious to spread on the wonderful bread they brought to the table. Pelican Club The baked oysters were fantastic. Served on the half shell with apple-smoked bacon, roasted red peppers, parmesan and garlic herb butter. 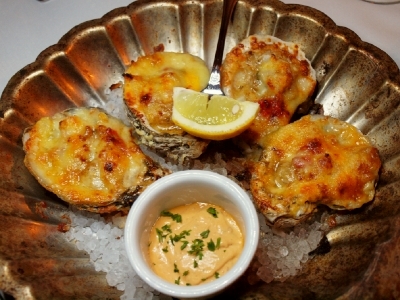 The parmesan is golden brown and compliments the oysters so well. You just can’t get one order! 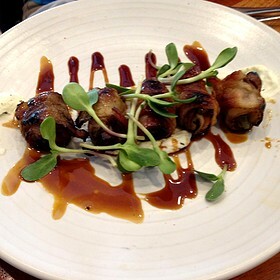 Borgne The duck poppers were worth having as an appetizer or as a small dish. They are wrapped in bacon with a hint of jalapeno. It gives this dish a bit of heat that makes them addicting. August Definitely treat yourself and go to August. The whole experience is worth it. The food is amazing and the service was top-notch. The presentation of the food is an art piece. Everything I had was amazing. I like seeing restaurants using seasonal vegetables. 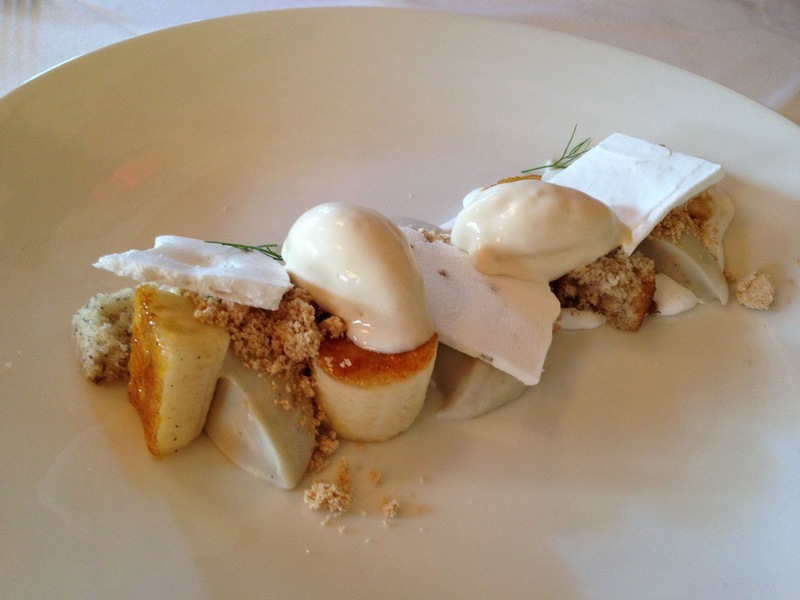 And August has a Farmers Market Vegetables tasting menu. Items can be ordered from this menu as a first course. 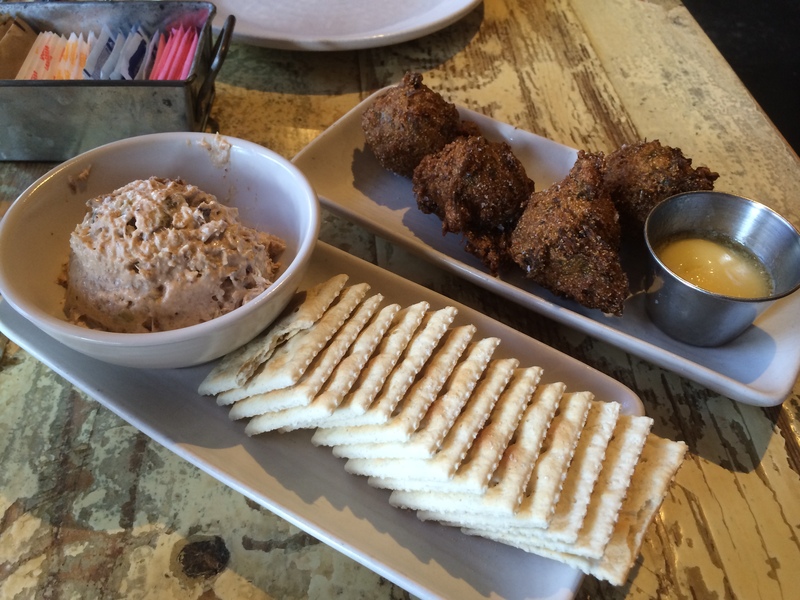 For dessert, if you have any room after eating this fabulous meal, go for their banana pudding. I was in heaven! It had all my favorite flavors in one dessert. Toasted marshmallows with banana cake, caramelized bananas, peanut butter powder, and vanilla wafer ice cream. I know everyone has their favorites places and dishes when they go to New Orleans. Tell me yours! I would love to hear about it. Maybe I can fit it in the next time I am in this wonderful city! Looks like you had a great time and ate very well! 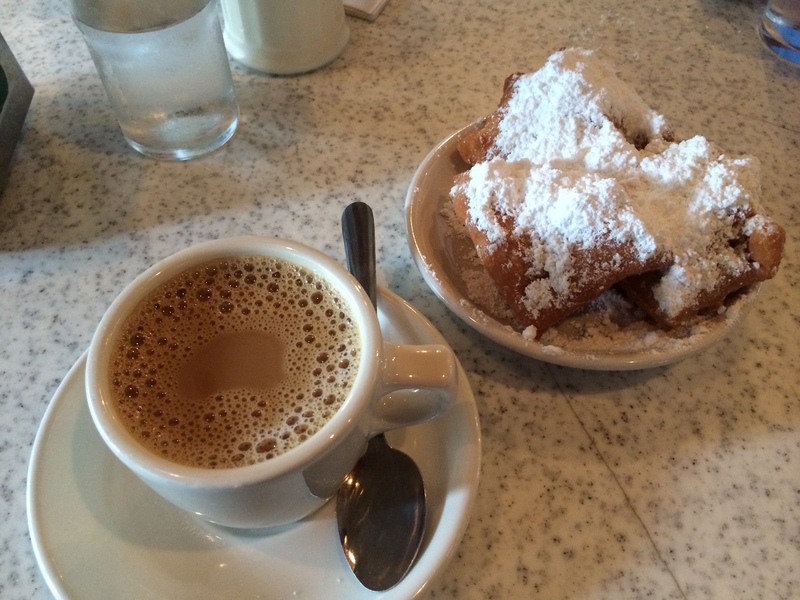 New Orleans is one of my favorite food destinations, and this post has me feeling nostalgic. Whenever I’ve gone, I’ve always made a point of hitting Cafe du Monde, Ralph & Kacoo’s, and Arnaud’s. Hope you get to check out more great places on your next trip! That is why it is hard to pick out just one place! What are your favorite things that make you like those places? I agree; it’s impossible for me to crown a single favorite establishment over them all. So many places do so many things really well. At Cafe du Monde it was all about the beignets and chicory coffee for me (as it is for most, I imagine). The pralines are nice there too. Ralph & Kacoo’s served me a blackened gator starter and a grilled, crawfish etouffee-topped fish entree that I really enjoyed. At Arnaud’s I’ve generally opted for entrees involving steak and/or crawfish, but even when I’ve deviated from that, I’ve never had a bad dish there.